Weird, wonderful and at times hilarious, the opening ceremony for the London 2012 Olympics was better than anything we could have dreamed of. Director Danny Boyle captured everything that we love about Britain, from the Spice Girls zooming around on black cabs to Mr Bean’s cameo during the London Symphony Orchestra’s performance. And can you believe he even managed to get the Queen involved in a short movie with Bond (a.k.a Daniel Craig)? That moment when she skydived out the plane? LOL. 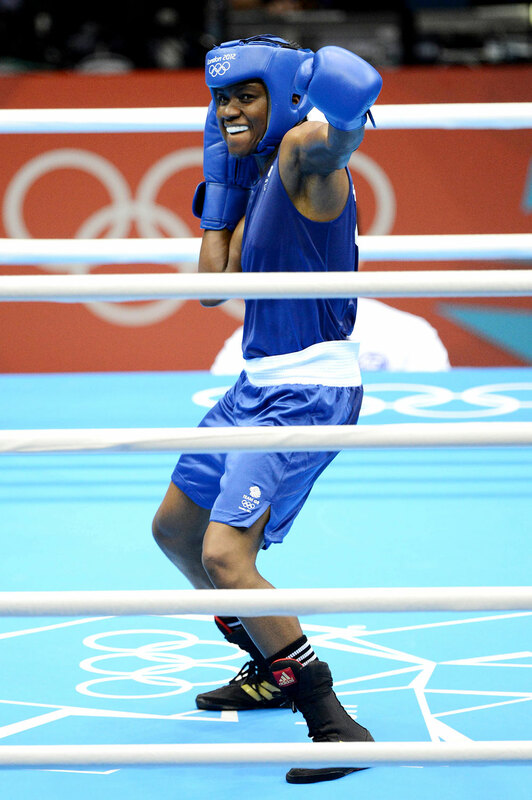 Who didn’t love watching Nicola Adams become the first female boxer to win an Olympic gold ever? Dancing a jig and patting the badge on her chest, we couldn’t help but return the huge smile on Nicola’s face as her arm was raised as the winner, in a victory not only for Great Britain but women everywhere as female boxing was finally allowed a spot in the games. 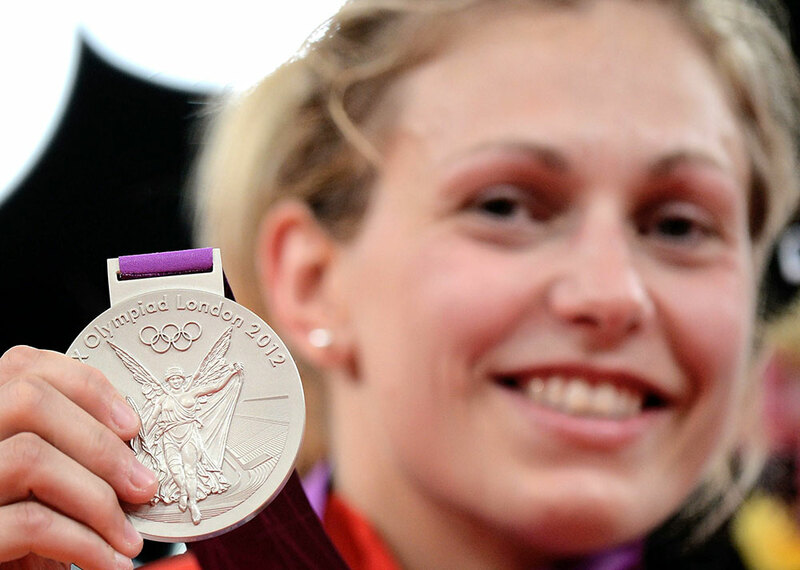 Sure, we were happy when Gemma Gibbon’s won a silver medal to secure the UK’s first Olympic judo medal in 12 years, but it was watching her dedicate it to her late mother that proved one of the most moving moments in the games. Any event with Usain Bolt in is bound to be a spectacle, but it was the Jamaican team combined that had the 80,000 strong audience at the Olympic Stadium on their feet cheering in possibly the most exciting race of the games. Carrying the baton for the final leg off the relay, Bolt was shoulder-to-shoulder with American sprinter Ryan Bailey, who came in at a time that matched the world record of 37.04 seconds. But it just wasn’t fast enough. 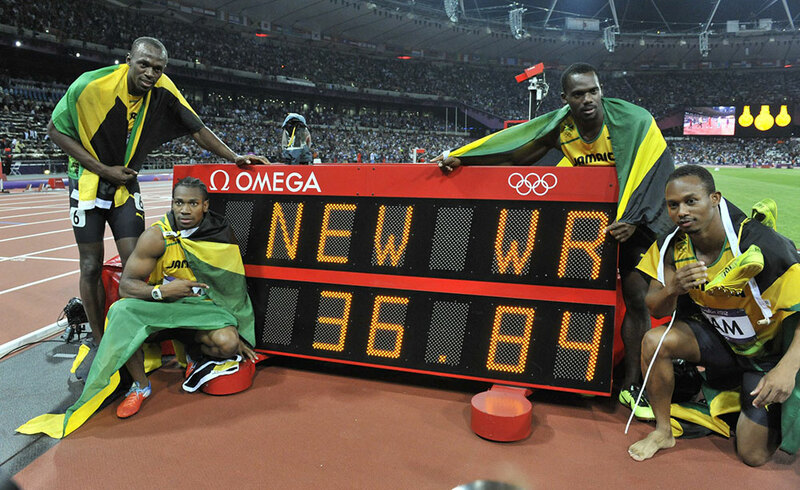 Bolt pipped Ryan to post to bring the Jamaicans in at 36.84 – the first time in history that a team had run the 4x100m relay in under 37 seconds. 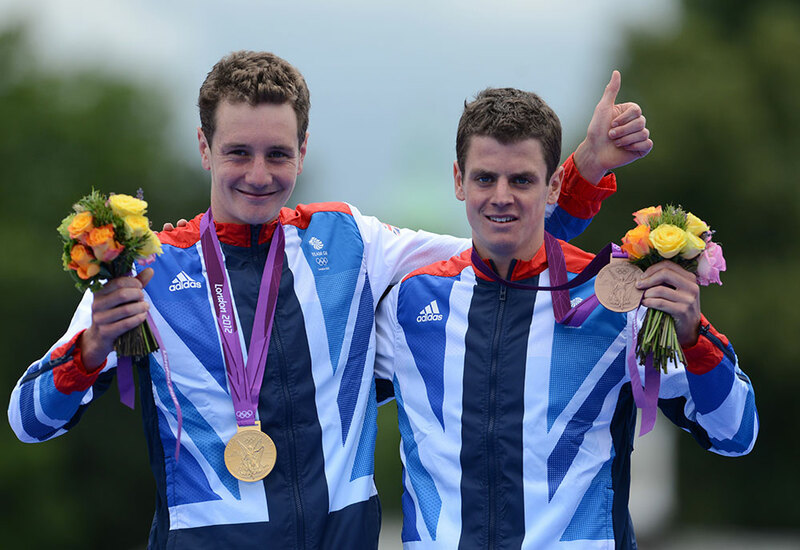 After younger brother Jonny was given a 15 second penalty for getting on his bike too early on the changeover, it looked like his hopes of a medal in triathlon were dashed. Until, that is, his older brother Alistair stepped in to set a relentless pace in the race for the first laps of the 10k run to create a 30s lead that only his brother and world-champion Javier Gomez could match. The result? Jonny still managed to secure bronze even with his penalty while Alistair claimed the gold, securing the brothers a place in sporting history. Brilliant. The poster girl for the 2012 Olympics, Jessica Ennis-Hill wowed us all by dominating not just one discipline but SEVEN in the women’s heptathlon. In fact, Jessica’s hurdle time was so good that it would have won her an individual gold for hurdling in every single Olympics so far bar two (Seoul 1988 and Athens 2004). Just. Wow. We’d waited a long time to see a Brit win on centre court, so when Andy Murray lost out to Roger Federer after an epic five set slog in the 2012 Wimbledon finals, it felt so near yet so far. 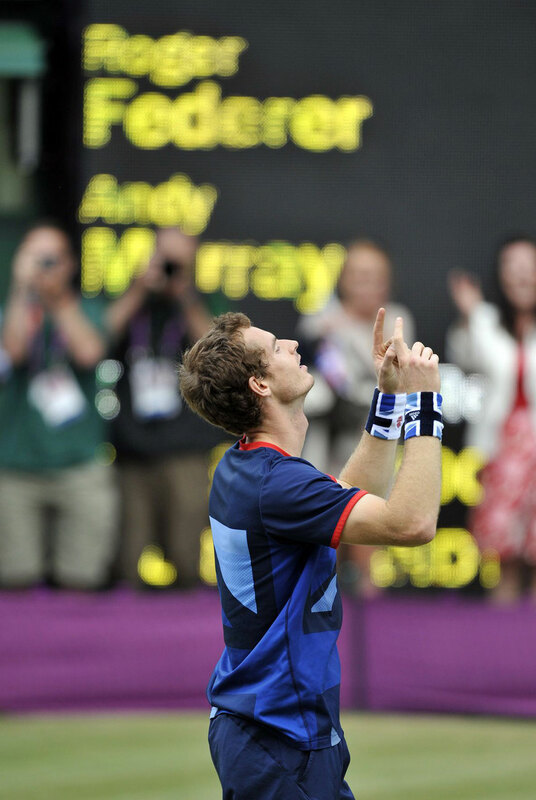 But then three months later he was back again, this time beating Federer in straight sets to win Olympic gold in what he described as ‘the biggest win of my life’. It was an emotional moment for fans everywhere, but none more so that 11-year-old Henry Caplan, who rushed through the seats to grab a hug off the new champion. Cue cuteness overload. 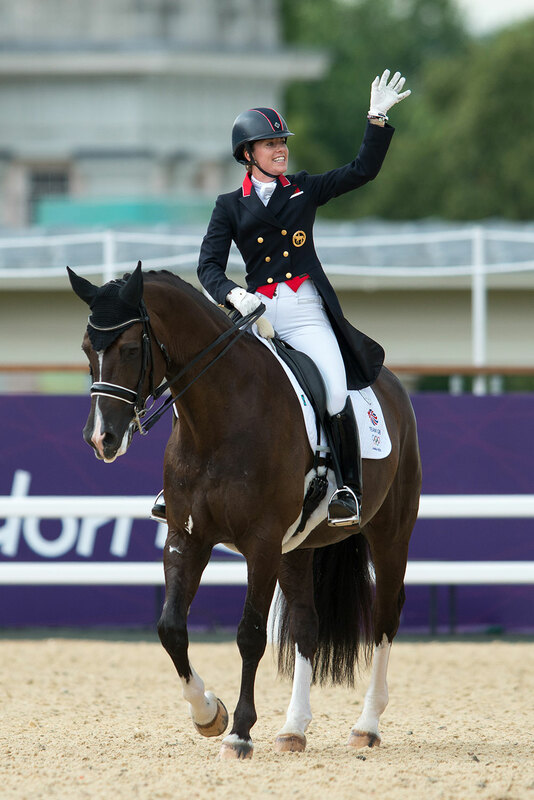 We didn’t even know horses could dance before we saw Charlotte Dujardin atop her superstar horse Valegro. Dancing to movie theme tunes such as The Great Escape and Live and Let Die, we watched in awe as the two pranced around the ring to win not one but two gold medals. Is it a bird? Is it a plane? 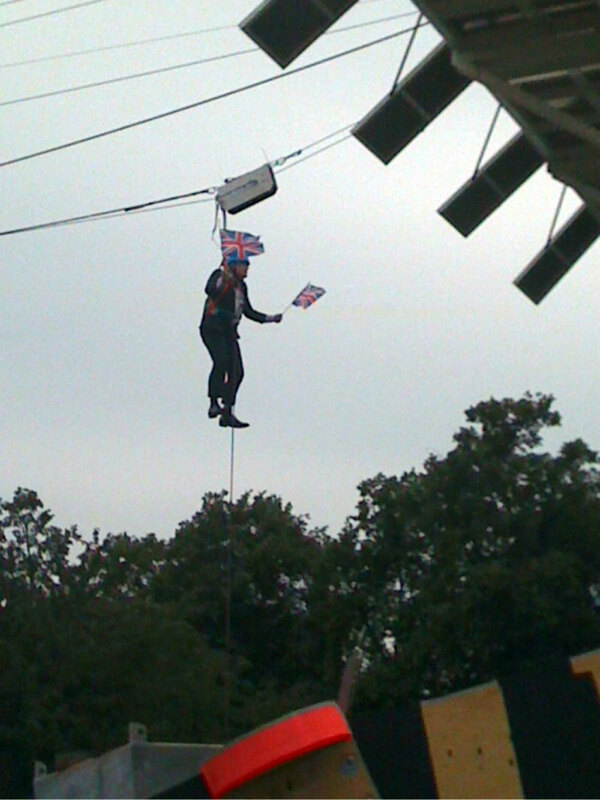 No, it’s Boris Johnson attempting to ride a zip wire in Victoria Park, only to get stuck three quarters of the way down. In what could only be described as comedy gold, the former Mayor spent around five minutes just hanging helplessly in the air shouting, ‘Get me a rope, get me a ladder’ to the amusement of spectators videoing him on the ground. After eventually giving up on immediate rescue, BoJo passed the time by waving his flags and encouraging the audience to cheer on British gold medal-winning rowers. Well saved, Bozza. Kind of.